Do you want your products to become popular and sell a lot? 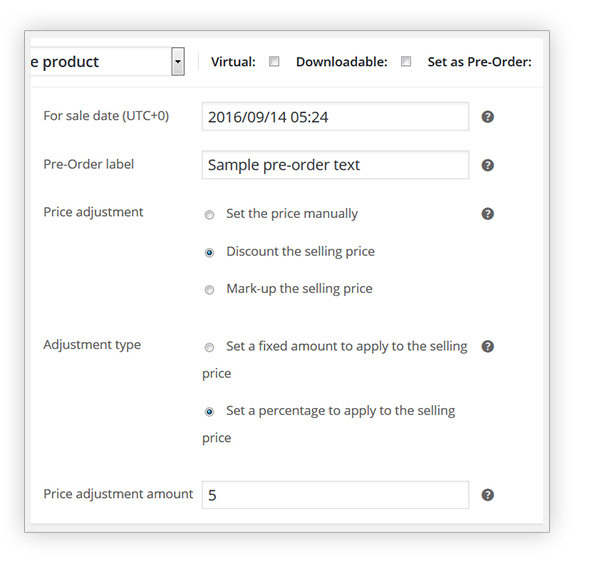 Use an efficient pre-sale system in your store! Whenever a product or service is about to be launched on the market, a feeling of expectations is triggered in your customers, which makes them more likely to proceed with the purchase. Unfortunately, this unconscious process is rarely used properly and once a new product is finally on the market, many customers already lost their interest in it. Thanks to YITH WooCommerce Pre-Order you can watch your sales of new or momentarily unavailable items improve right away, offering your customers the chance to purchase the products they are after and receive them only after they are officially on sale. Your customers want to be able to buy your products before they are made available: allow them to do so! Many large companies use a pre-sale system in order to increase their sales and create hype around specific products. Just like Apple does! So why not start using this winning marketing system right away on your website? 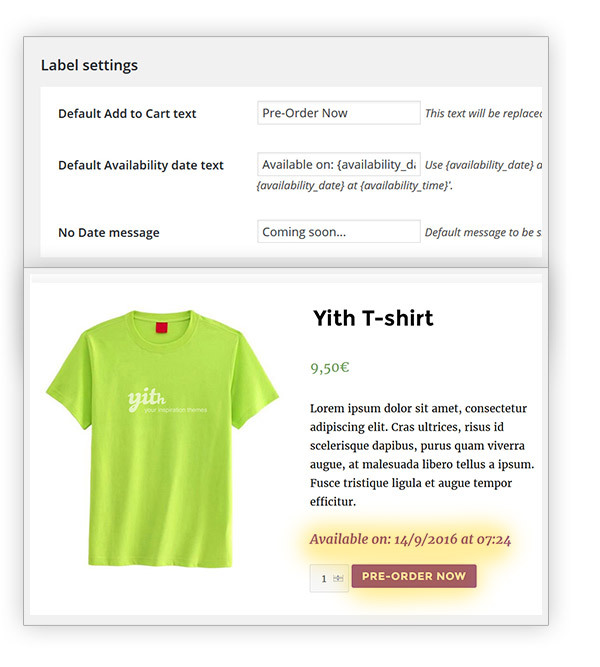 In order to offer this opportunity, we have created YITH WooCommerce Pre-Order, a plugin that will easily allow you to integrate a simple pre-order feature in your e-commerce store. This will allow you to create pre-order ready products and put them on sale before they are released, create an automatic email system that will inform your customers once the item is officially released and on sale. It will also be possible to offer discounts for those who choose to purchase an item while it is still in the pre-order status, which will make this strategy even more effective and will raise your conversion rate. This plugin works perfectly with variable products and allows credit card payment thanks to its compatibility with YITH WooCommerce Stripe. Offer your products right now, including those that are not yet available and remember: each day you spend without enabling purchases, is a whole day worth of sales that’s lost for good! 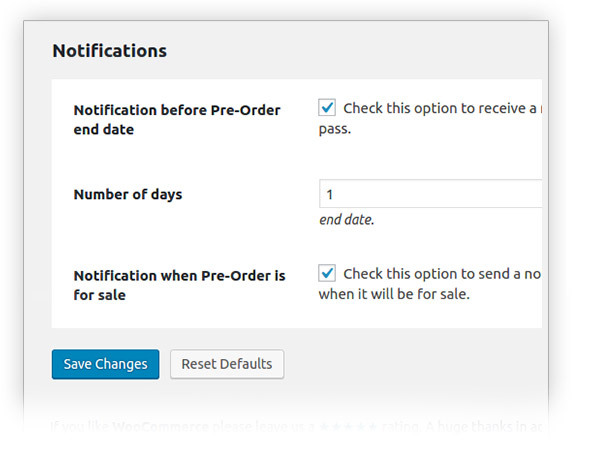 New: Alert that a variable product is Pre-Order if all variations have the Pre-Order status. 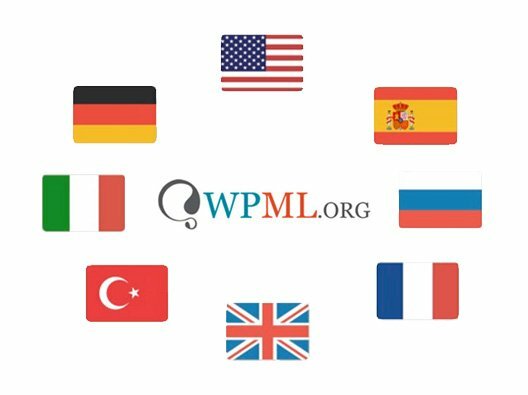 Fix: WPML compatibility on Cart. Fix: Image thumbnails on email templates. 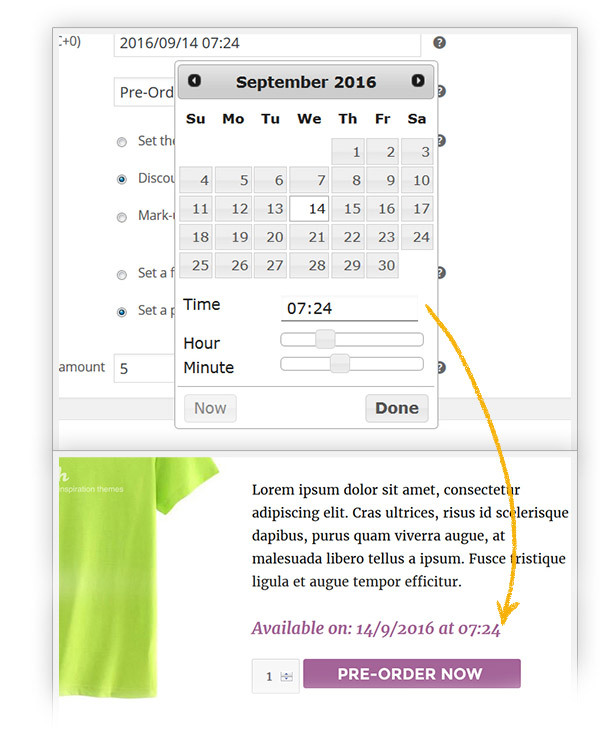 Fix: Availability date error on Cart page. Fix: Download links on complete orders. Update: Support to WC 3.3.5. Update: Support to WordPress 4.9.5. 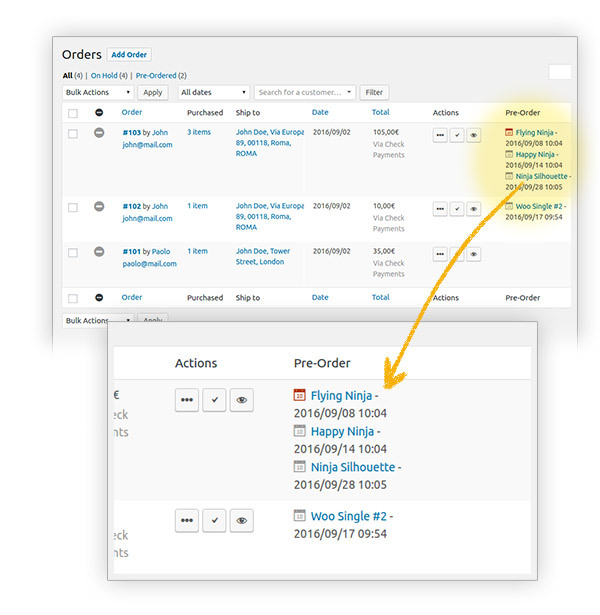 Fix: Automatic Pre-Order status without managing stock at product level. Fix: When a Pre-Order product has Sale price but no Pre-Order price, the Regular price was displayed twice. New: Support to WC 3.3.4. Fix: Pre-Order price for variations was hidden when all the variations had the same regular price. 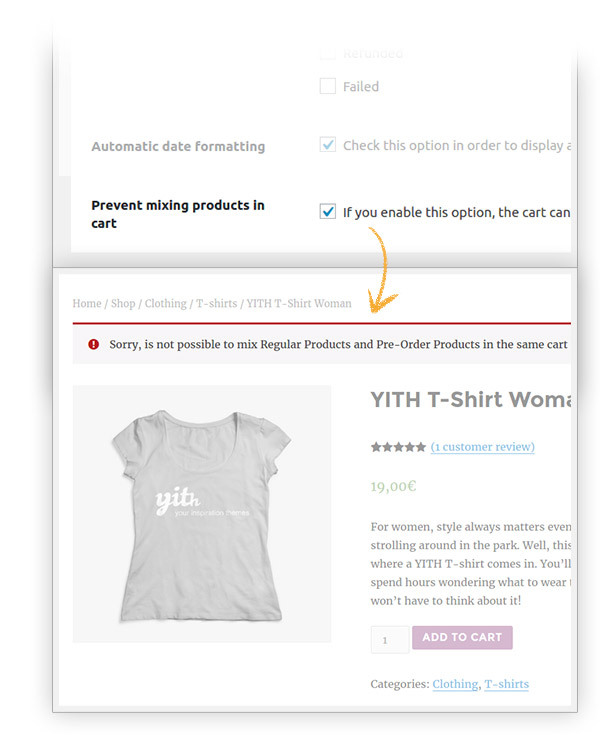 Fix: conflict with YITH Composite Products on Edit product page. Fix: "Invalid D" message issue on frontend. New: Support to WC 3.3.1.  New: Support to WordPress 4.9.4. Fix: repeated emails when product get out of stock and becoming Pre-Order. New: Support to WC 3.3.0. 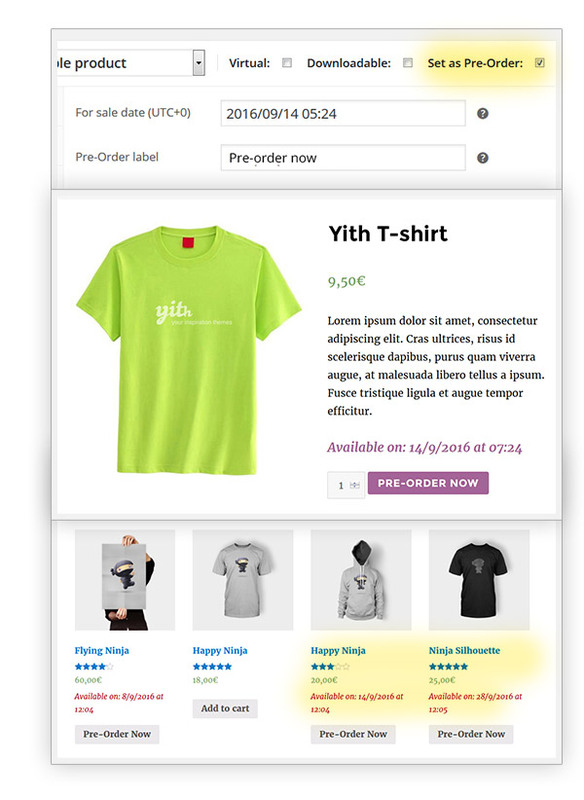 Fix: Compatibility with YITH WooCommerce Subscriptions Premium for product variations. Fix: Backorders and performance issues. 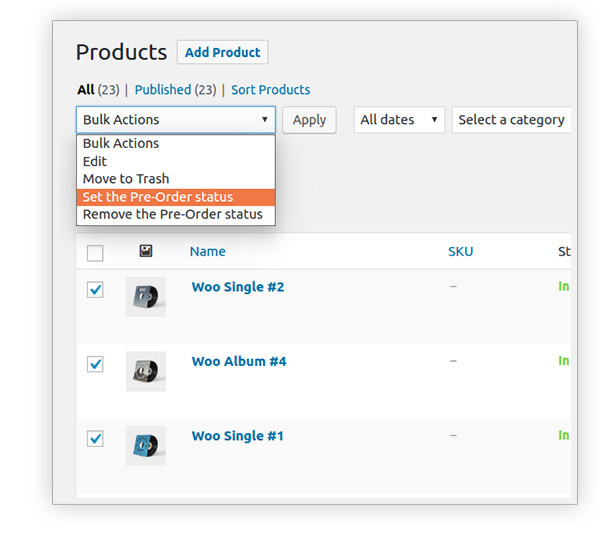 New: Bulk action for setting Pre-Order status now available for variations. 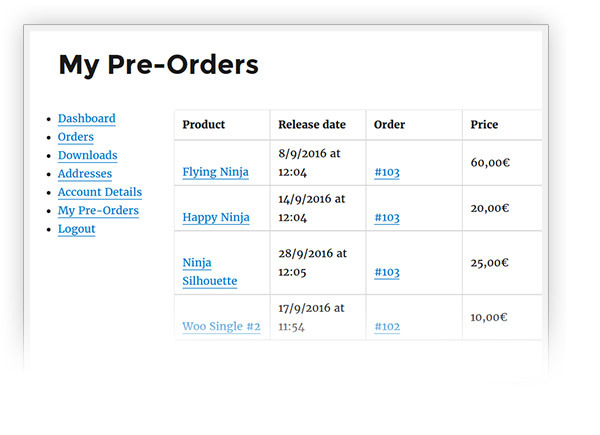 New: column in Products page to see which product is Pre-Order or not quickly. 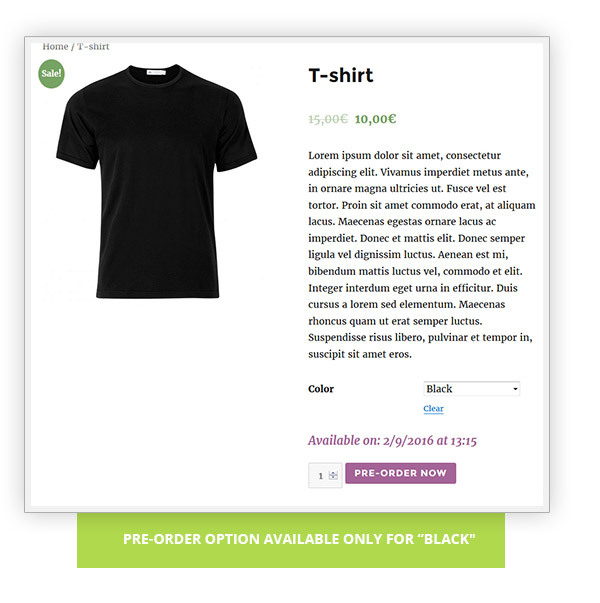 Fixed: error on single product page "Missing argument 3 for YITH_Pre_Order_Frontend_Premium::show_date_on_single_product()"
Fixed: Now in Edit Order page the custom item metas for orders which has pre-ordered items are hidden. Fixed: require functions.php on init.php, now specifying the plugin path. Fixed: variations saving date field bug. Good feelingsIs a nice plugin, it could end being one of the best if the team adds a few features that are missing and would make it a complete plugin. 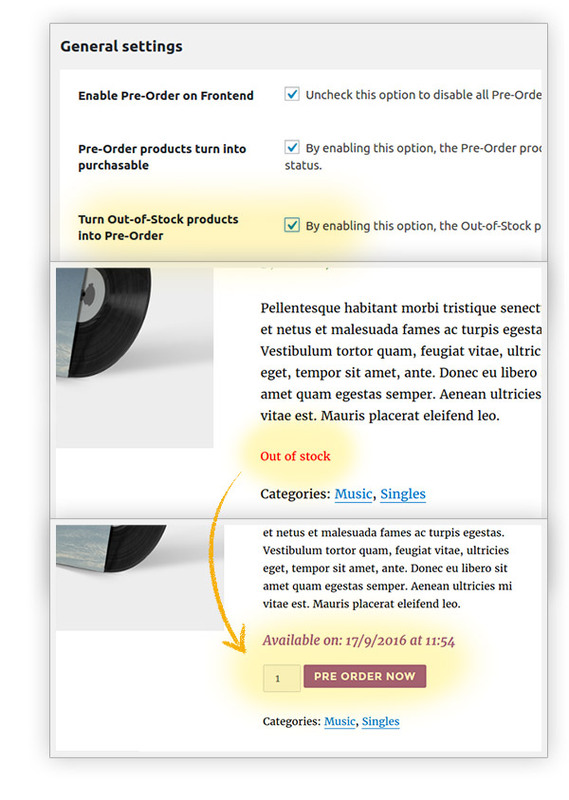 Nice and useful plugin for my site. Happy to see that they update the plugin on a regular basis. Our plugin is compatible with all our plugins and also is integrated with our Multi-Vendor plugin, so they can work together, but I'm afraid we cannot grant compatibility with third-party plugins as there is no integration and we don't know them. yes, you can set up a stock value in the Pre-Order status. Hi, Michael! Unfortunately not at the moment, I am sorry. We will analyze the possibility to add this feature to a future update.